This is a fantastic film on its own. It's even better if you like BBC's "Sherlock," because it's basically Benedict Cumberbatch as the beloved character, set in WW2. The film opens with a question: "Are you paying attention?" That kind of clues you in that you need to be on your toes for this one. The film's color tones are dark and it is dialogue-heavy, but it's an incredibly intriguing story, one that's been classified for 50 years. It reminded me a lot of "Argo," and the cinematography and pace was not unlike "The King's Speech." 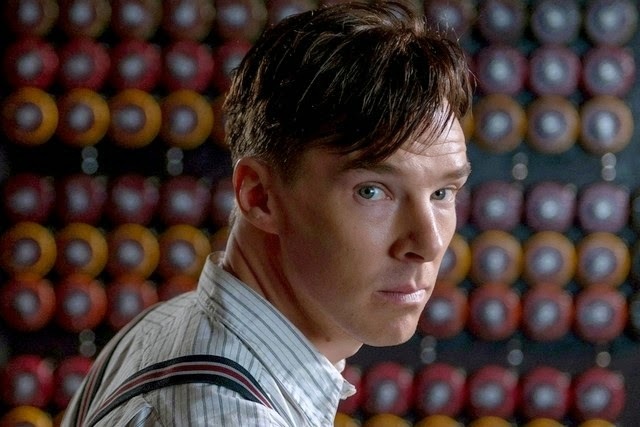 "The Imitation Game" is an incredibly cerebral film, one that you will not regret seeing. Brilliant, awkward Alan Turing would probably be best buds with Cumberbatch's Sherlock. They're both too smart for a normal social life, but the best in the biz at what they do professionally. Turing is a mathematician hired by the British government to crack Nazi Germany's Enigma Code. What seems like a nearly impossible task is ultimately solved by Turing's machine "Christopher." Flashbacks reveal the machine was named for a childhood crush, confirming our suspicions that Turing was gay, which it was illegal to be in 1940s England. Keira Knightley, Matthew Goode and Allen Leech (Branson from "Downton"!) are supporting roles, reluctantly working with Turing, who tends to push people away more than appreciate any help or guidance. His relationship with Joan (Knightley) is a sticky one - they're very clearly not meant to be romantically, but their mental connection is undeniable. Though the story has a happy ending, bringing an end to the war and paving the way for what we now know as computers, Turing's personal life was tragically over at the age of 41. He committed suicide after being arrested for charges of indecency. This story needed to be told. Weinstein's hands on it ensures this will be very successful during awards show season. There's a strong chance we'll have a "Battle of the Brits" (Cumberbatch, and fellow Brit Ed Redmayne in "The Theory of Everything"). Mad props to them both for gaining highly deserved attention for their performances. The truth is often stranger and more interesting than fiction, and this historical tale follows suit.